Menopause is the stage that comes in every woman’s life. During this phase, a woman undergoes hormone changes and aging process, which lead to causing stress. So, all these changes are occurring in your body, then you may find it hard to lose weight. Well, there are many reasons for this, however, the low and elevated levels of estrogen result in the fat storage. Therefore, following a perfect menopause weight loss diet plan is a must. This is because, during menopause, many women may face sleeping troubles . Women may also become insulin resistant with their growing age. This leads to difficulty in losing weight. Along with this, there also increases the risk of developing health problems including heart diseases and type 2 diabetes. Hence, it is imperative to follow a diet plan to live a disease-free life. 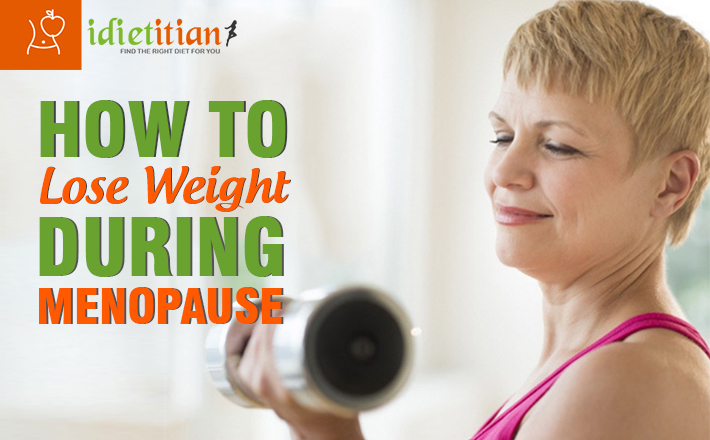 So, here are the tips you can do in order to lose weight during menopause. The symptoms of menopause include irritability, hot flashes, depression, fatigue, dry skin, insomnia, feeling irritated, and weight gain. So, in order to control these symptoms women should not only pay attention to the foods they intake but also to their daily physical activities. This is because during menopause, carrying out various exercises is effective in weight loss, and also provides you with inner peace and comfort. Getting relief from stress is imperative during the menopausal phase. Stress increases the risk of developing heart diseases and many other health problems. This is also one of the major reasons for weight gain. Stress elevates the cortisol levels which increases the abdominal fat. Therefore, it has been recommended to do yoga to reduce stress and at the same time extra fat. Sleep well at night is helpful in maintaining a healthy weight. Getting enough sleep, that your body needs is best to control “Ghrelin” i.e. the “hunger hormone” in the body. This, in turn, helps in controlling overweight. However, it has been observed that during menopause, most of the women have faced trouble sleeping this is due to night sweats, hot flashes, stress, and other factors of estrogen deficiency. Dairy products like cheese, milk, butter, and more are helpful in losing weight by retaining muscle mass. Also, intake the foods which are rich in fibers. The high-fiber foods include avocados, brussels sprouts, flaxseeds, and broccoli, lower your appetite and thus, promote healthy weight loss. The presence of Epigallocatechin gallate “EGCG: and caffeine in green tea helps in burning fat from the body. Many other herbal teas are also effective in reducing stress and controlling the weight gain. Moreover, green tea is also effective in healing various cardiovascular problems. It has been advised by the doctors that women should intake the foods, which are high in proteins. This is because such foods help you to control unnecessary cravings throughout the day. Hence, this increases your metabolic rate which results in reducing the muscle loss that generally occurs during weight loss. Well, you can find out many menopause diet plan online. But, for the best advice you should check out the website Idietitianpro. The website has professionals who suggest the perfect menopause weight loss diet plan for you, suiting your health requirements. In addition to this, if you want any other diet plan for any health issue, they suggest the best possible solutions. Menopausal transition affects a woman’s health in many ways. Therefore, get the best menopause weight loss diet plan from the experienced doctors of Idietitianpro. Follow a perfect diet plan!